The Good: It has some funny parts. But those parts were chuckle worthy at best. Nothing that will have the audience getting a laughter ab workout. Some of the comedy will hit home with people who are familiar with the gym and workout world. 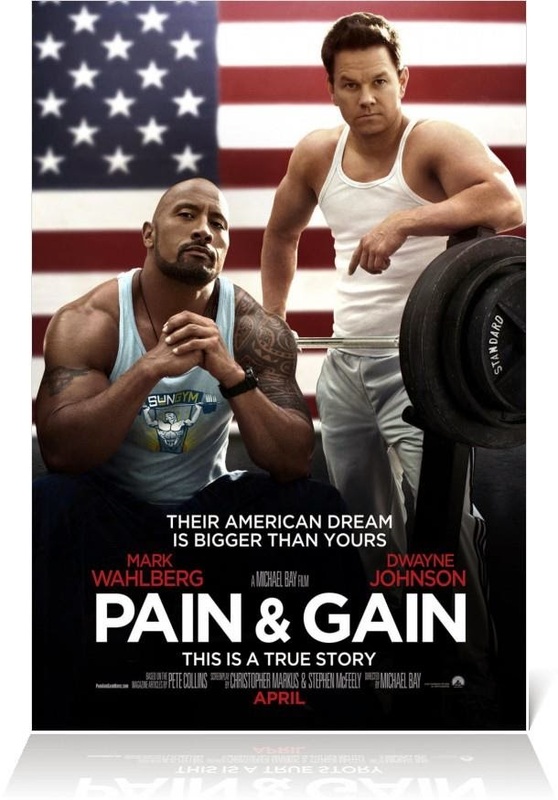 Dwayne The Rock Johnson was good in this film, but nothing over the top. (He still acted better in SNITCH) Mark Wahlberg and the Rock did play off of each other well. Anthony Mackie, surprisingly, was also kind of funny with his "questionable" comments and situations. The Reason: This movie was so crazy and all over the place. The main reason why you keep watching is because you want to see how bad it will get AND because in the back of your mind you keep thinking "THIS was based off a TRUE story??? " This is a rental at best.